Bring the charm outdoors with a beautiful concrete bench or a contemporary resin feature. We have a lovely selection of modern and traditional pieces. Check out the merchandise in store, and if you don’t find the color and/or style for the item you are looking at, ask the staff about creating a custom order, specified to meet your requirements! After all, if you’re happy, then we’re happy! 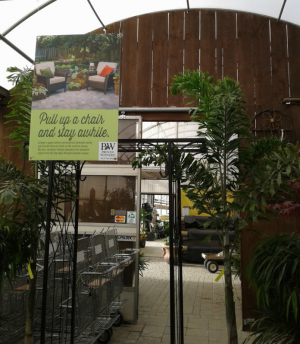 Our garden centre brings in new unique furniture every season! Looking for a patterned metal bistro set? Or a comfy weather resistant lounge chair? What about a small side table? We have all of those and much more! 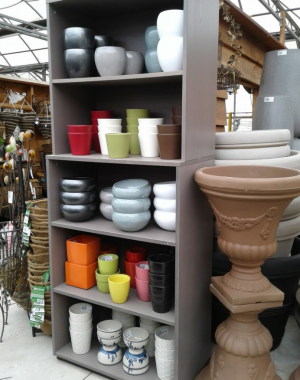 With our trendy selection of ceramic, plastic, resin, fiberglass, and clay pottery in all sorts of styles, sizes, glazes, and shapes, we are sure that you will find the perfect pot at Oxford Insta-Shade! Saucers in a variety of sizes are also available to keep water off your floor. 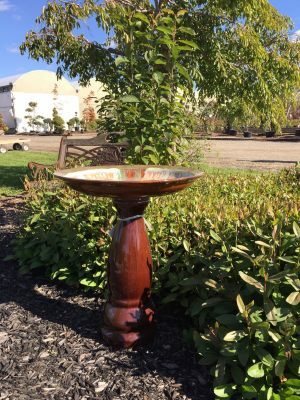 A cheerful ceramic birdbath or a handmade bird house is sure to please the bird lover in your life! Come on down and view the wide variety of Finch, Hummingbird, Blue Jay, and many more different kinds of bird products. Butterflies and bees are beautiful and magnificent to observe! 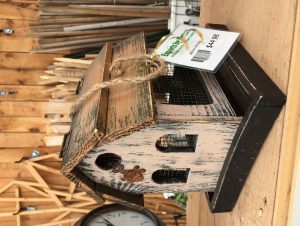 Along with a garden full of blooming blossoms, a house specifically made for these pollinators will encourage them to call your backyard home sweet home! For optimal results, ask an employee for the varieties of flowers that will attract butterflies and bees and plant them around their new little house. Tools make gardening a breeze! It’s important to be equipped with tools that meet your size and personal needs. The ideal starter gardening tool kit contains: a lawn/leaf rake, hard rake, garden spade, pitch fork, pruners, loppers, hand trowel, and small spade. 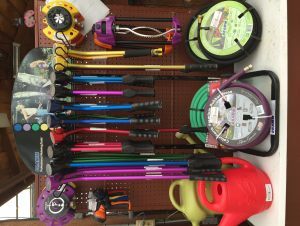 Those who wish to get involved in major landscaping will, of course, require more of and special tools. If you introduce children to gardening early on, their interest in nature will continue to grow with them. Kids love being outside, but they don't always understand how nature works. They may not all be expert gardeners by the age of three, but gardening can become an integral part of their leisure time activities as they get older. Start building the memories early; they'll last a lifetime. Pet Fish: Have them pick out a fish from our aquariums and/or ponds. Fish are easy pets and it will teach them responsibility, without seeming like a chore! Plant a Few Seeds: It’s so rewarding to see little seeds grow into tiny plants! A small pot filled with dirt, some flower, fruit, herb or vegetable seeds, sunshine, some time, and water are all the ingredients you need for this activity. Spring/Fall Cleanup: Buy them their own little rake & tools and you will have a proud buddy working alongside you! Design a Garden: Have a family meeting and get everyone involved in designing, planting and harvesting a garden or flower bed. Bring Them Along to Oxford Insta-Shade: Encourage them to pick out plants and explore the garden centre with you. As well, we have a playground area that will keep them occupied and give you, as the caregiver, a bit of alone time if you need to discuss designs or plants with a member of staff. 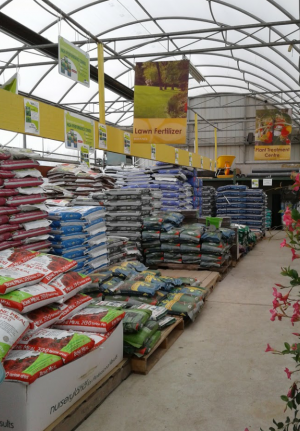 Different types of grass seed are stocked at the garden centre year round. Choose from Premium, Kentucky Blue Grass, Water Saver, Shade, Overseed, and Sun & Shade lawn mixes. Be sure to pair the lawn seed with an organic rich media, (such as Viva Lawn or Sea Compost), Fafard Seed Starter, and eventually a 3 step fertilizing program to make your lawn lush and healthy. Spring & Fall are the ideal times to plant grass seed. The summer is usually too hot & dry for it to germinate 100%. Soil temperatures should have a stay between 16° & 18° Celsius for minimum of a week. Water consistently for at least 14 days after planting, being sure to avoid puddles and not let the seeded area dry out. Sod is an ‘on demand’ product. 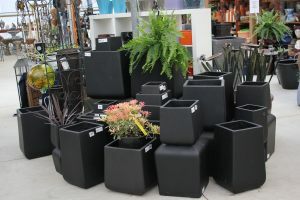 If you need a lot of square footage of sod, or if we compile other customers’ orders together, we can ship bring sod in to the garden centre. The rolls are 10 ft2 (2’x5’). This method will give you ‘instant’ lawn! Watering the sod every day, especially in the summer, is the key to making it take root. Fertilizing it first with Fafard Seed Starter, thenlater on with the 3 step program will also get it looking great! Fertilizers can transform a drab, patchy lawn into a rich & healthy looking one! Match up a fertilizer to the correct season or for best results. Typically the ‘step’ fertilizers are used on mature lawns. Ask a member of staff which one is the right choice for your situation. Apply after you have planted grass seed or sod. The high level of Phosphorous encourages root growth. Apply in the spring. April – May. A lot of Nitrogen encourages fast green up and quick growth. Apply in the summer. June-July. Average levels of Nitrogen and Potassium help the grass stay green and resist diseases. Apply in the fall. September – October. A higher percentage of Potassium gives the grass a better chance at fighting stress & diseases. Is your lawn looking quite patchy? Or are skunks digging holes everywhere? You likely have a grub infestation. If you’re not 100% sure, bring or send in a picture of your grass to info@oxfordinstashade.com for further confirmation. There are two main types of grubs, so be sure to know what kind you have in your lawn before picking up a package of Nematode Grub Busters. 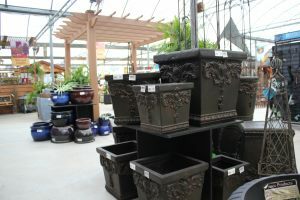 We stock them from late spring through to late fall. Create a clean border between your grass and existing flowerbeds, pathways, stone and/or dirt with commercial grade plastic lawn edging. Stakes and connectors are also available in store. We have gifts for any occasion. Be it a birthday, wedding, anniversary, and/or retirement gift you are looking for, we are sure to have it. With over 22,500 square feet of indoor shopping area and healthy plants & trees, we'll be surprised if we don't have what you're looking for! In any case, a gift certificate is the perfect present that never expires! 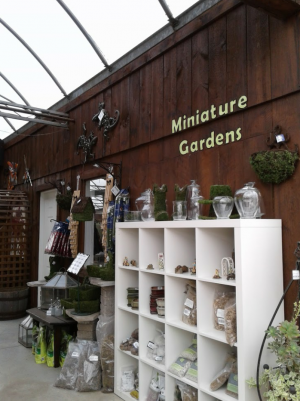 A visit to our garden centre is a step in the right direction to finding the right gift for that special someone. 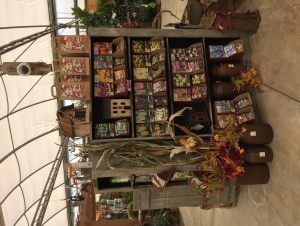 You’ll find a variety of herb, fruit, vegetable, vine, annual, and perennial seeds stocked at Oxford Insta-Shade from Spring through to mid-Autumn. Be sure to stop by at the beginning of the season if you are looking for special or more popular varieties, as we sell out quite fast! A freshly planted tree needs a lot of TLC and water. From soaker and regular garden hoses, to an entire irrigation system, it will be super easy to keep your tree healthy and happy! 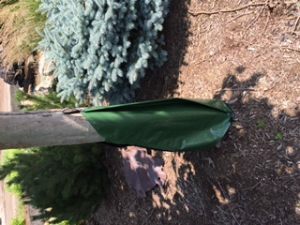 If your plant or tree has taken a toll for the worse and looks horrible, please email or bring in photos and samples if possible so we can identify the problem and help you find a solution! 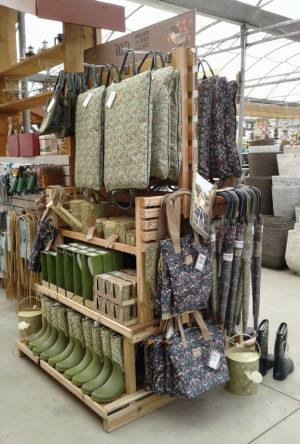 From mildew and slugs, to aphids and rust, we have a range of chemical products and organic methods that will solve common gardening difficulties! Rich soil is a great way to start off a new plant, but fertilizers will give plants a beneficial boost throughout the growing season. Look for N-P-K percentages on the fertilizer bags/containers to find out which product is best for your plant. Check with our staff regarding which type of fertilizer (slow release or water soluble) is best for your situation! N - Nitrogen encourages stem & foliage growth, as well as a healthy dark green color. P - Phosphorus helps roots develop and increases flower & seed production. K - Potassium reduces plant stress & strengthens the plant’s immune system.